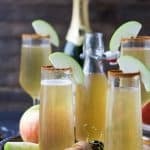 Apple Cider Mimosas | Apple Cider Cocktail Recipe for the Holidays! 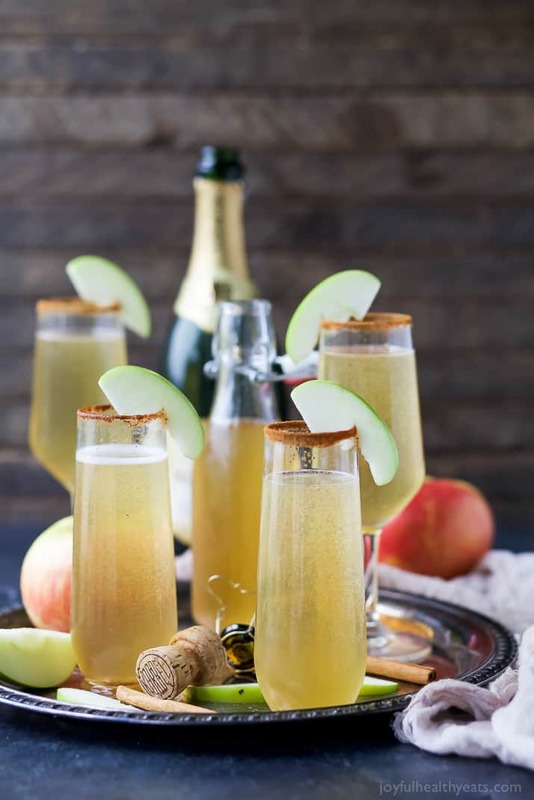 Easy 2 ingredient Apple Cider Mimosas are the perfect cocktail to start off those holiday parties! Y’all have no idea how long I’ve had these babies on my “list” to make. Right now my routine is, look at my “recipe ideas” notes tab on my phone. Pick four to five recipes to make for the week, go out and buy the ingredients, make them all in one day with my mom and photograph everything. So far it has been working great and I’m already creating recipes for January, so while you’re eating Thanksgiving comfort food I’m making smoothie bowls and granola bars. 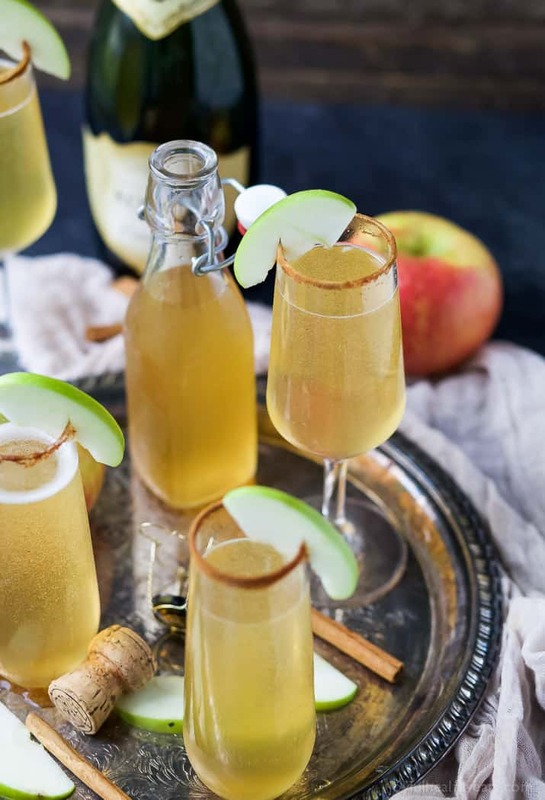 Ok, back to these Apple Cider Mimosas. I bought the ingredients for it like a month ago, with all intensive purposes of making them. Well, my mom doesn’t drink and I can’t so making cocktails right now has proven to be a little difficult. I don’t want to throw it out so I need to find someone to drink it all for me! 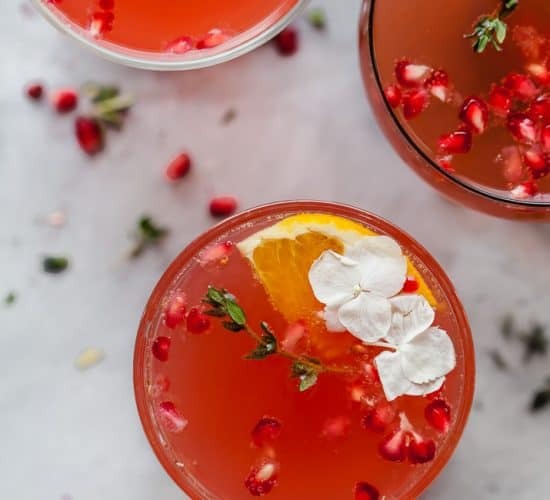 Last year I made a Sparkling Pomegranate Mimosa and it was a hit, not only is it beautiful to look at because of the red and green (perfect for the holidays) but it tastes dreamy. 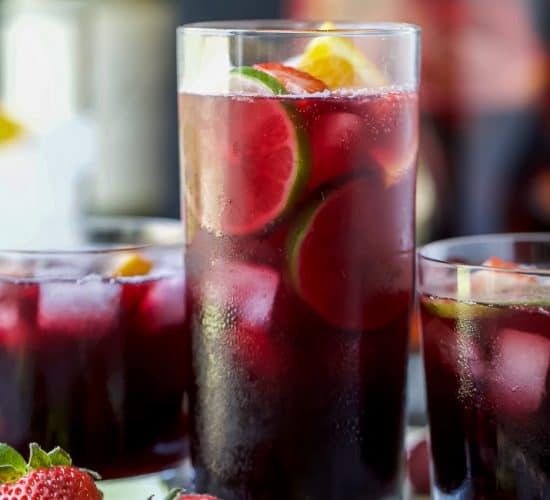 It’s so light and refreshing! 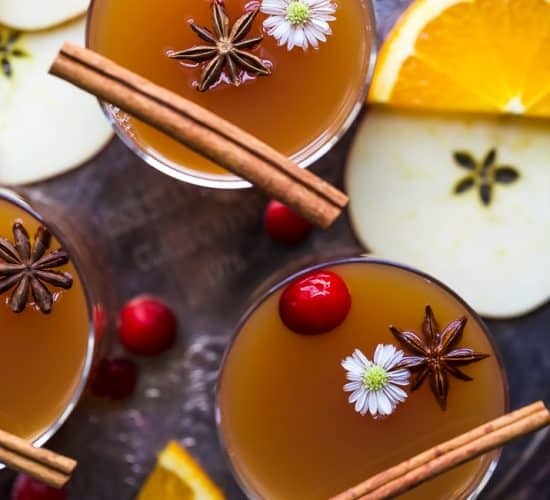 But they did look more of a Christmas and New Years Eve themed cocktail, so this year I’m hitting up the Thanksgiving side of things. But for real… apples to me are the epitome of fall! 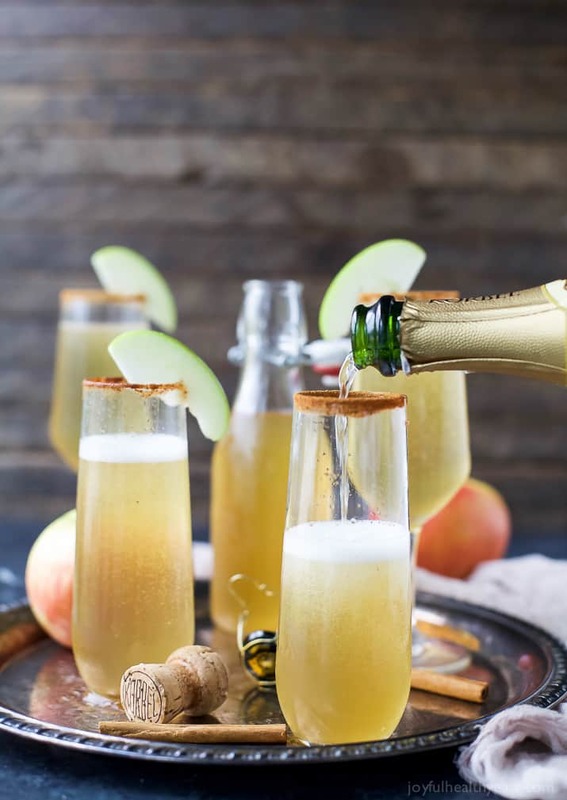 Apple Cider is at it’s peak this time of year so why not mix it with a little champagne and make a Mimosa out of it? Sounds like a good plan to me. And guess, what it is… I did have to give it a little taste to make sure it was good enough to post on the blog and with a resounding YES I can say it is. 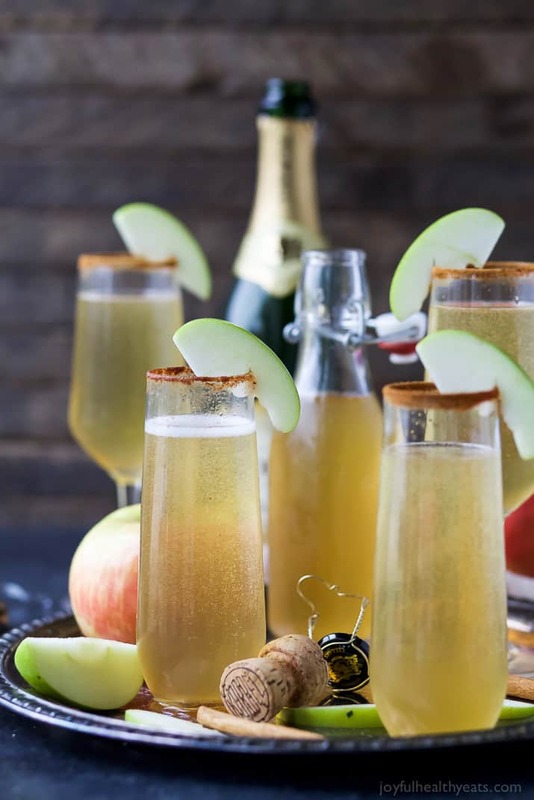 The ground cinnamon rim around the edge was my favorite, it adds just the right amount of fall spice to take these mimosas over the top. Plus they are only 2 ingredients… you can’t beat that! Have these sitting around Thanksgiving Day to start the festivities and you’ll have some happy campers! Cheers! Stay thirsty my friends! To a small bowl add some ground cinnamon. 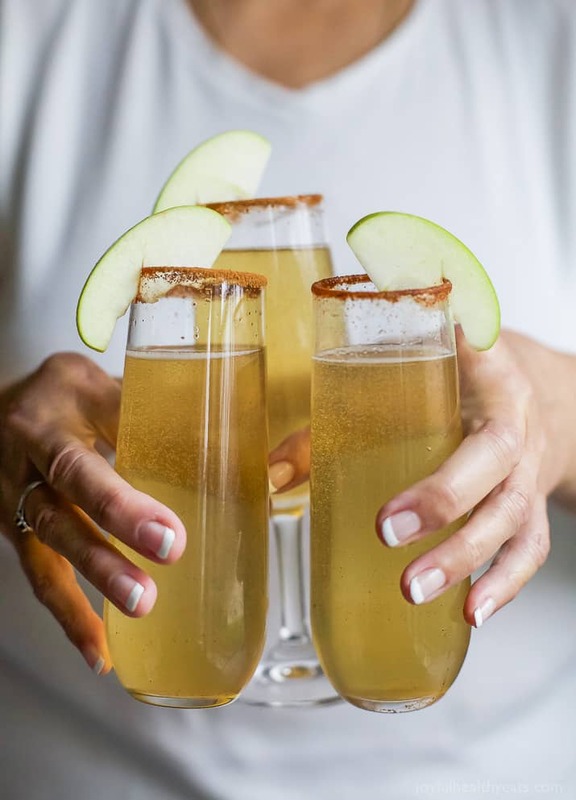 Wet the rim of each champagne flute with water and dunk the wet rim in the ground cinnamon to coat the rim of the glass. To each champagne flute add 2 oz. of apple cider. I wish I lived close to you. I would totally be your taste tester!! 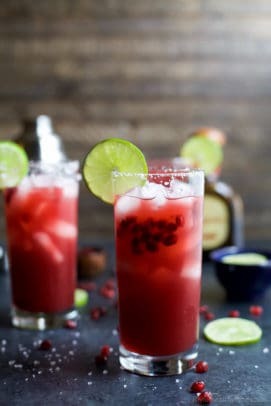 I love a good themed drink so I’m definitely making this for Thanksgiving! hahah.. me too! The more people the better! 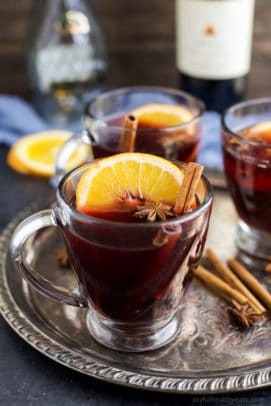 This looks like such a festive, fall drink! 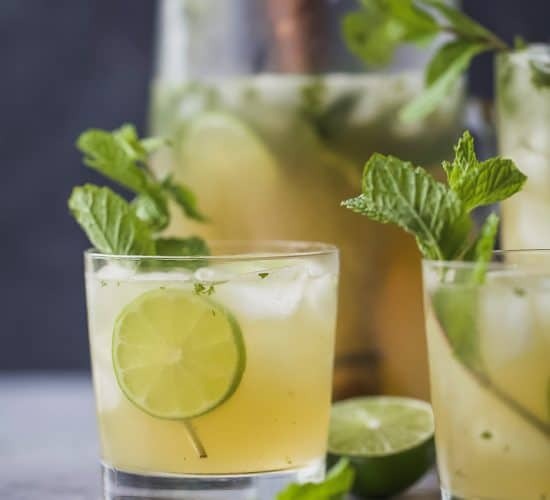 The cinnamon on the rim really completes this drink to perfection! Cheers! the cinnamon is my favorite part! I need to make these on Thanksgiving! Love the apple — and love how this is only 2 ingredients! 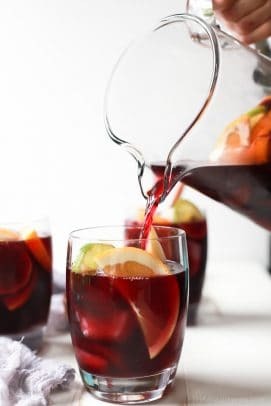 I will be toasting you this season for this idea! hahaha… back at ya girl! 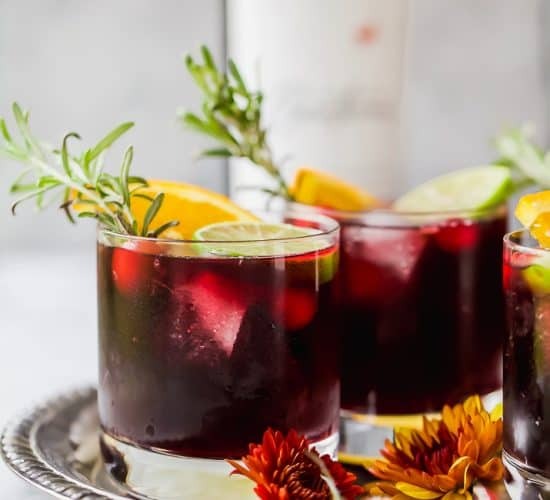 Perfect Fall cocktail! Looks so good! 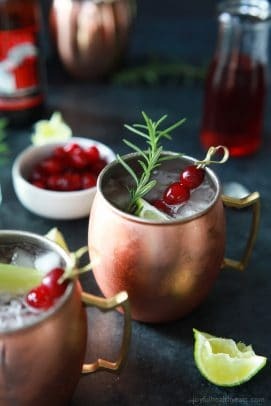 What a pretty cocktail for the holidays!